Assessing cone cell density is of key importance for research in inherited retinal diseases that affect cone photoreceptor cells. A new milestone has been reached with an article recently published in the Plos One journal, which provides statistics of the spatial distribution of cone cells in a population of 109 healthy subjects. 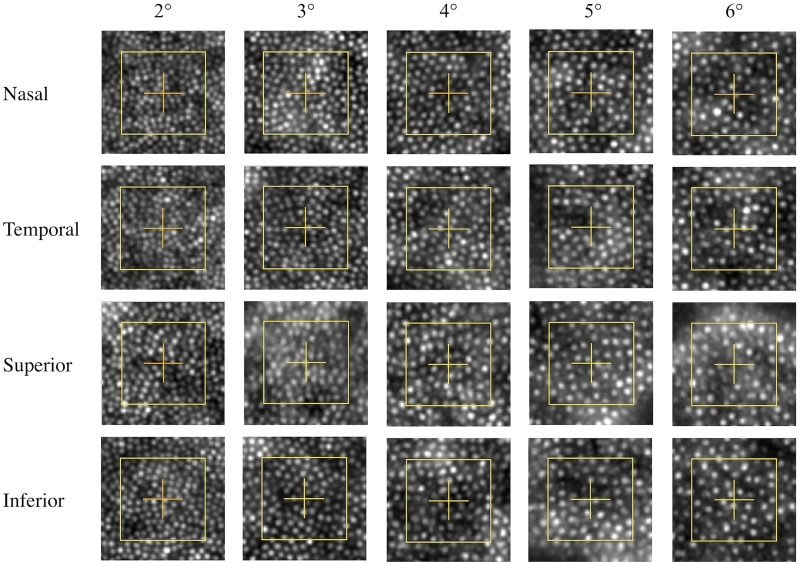 The measurements were based on images acquired using the rtx1 Adaptive Optics Retinal Camera. rtx1 images enabled mesuring cone density in fair agreement with previously published histological data in a perifoveal region comprised between 2 and 5 degrees of retinal eccentricity. The interindividual variability of cone density can be strongly reduced when cone density is computed using visual units (nr of cells per degree²) instead of anatomical units (nr of cells per mm²). Visual units also present the advantage of being more closely related with functional vision.